Did you know that September is Recovery Month? Of course it’s important to take care of our bodies and allow ourselves to heal when we suffer an injury like a broken bone or a torn muscle. What about when the injury is something we can’t see? With wide spread misuse of prescription drugs and the profitability of selling fitness magical quick fixes, there are a lot of traps in which to fall. We wanted to take a moment to consider how a mindful movement practice, like Pilates, can help someone feel in control of their own healing more…. Why are we, a Pilates studio, talking about addiction? According to the Mayo Clinic joint pain and back pain are the number 2 and 3 reasons people go to the doctor. Eventually, some of those people end up in our studio once they’ve tried a multitude of avenues in search of relief. What if our cultural and medical system encouraged us to focus inward on our own bodies for pain management more regularly and questioned more deeply the current culture of “magical pill/device” quick fixes? What if moving our body was our first line of defense to alleviate pain vs. freezing out of fear of experiencing pain and medicating it instead? Thankfully, the American College of Physicianshas shifted their recommendations away from pharmacological intervention first and towards alternative therapies – among them exercise. While speaking to a friend about this very subject he shared with me that as a journalist who sits in front of a computer all day and never exercised he had loads of back pain. However, he was pleased to discover incorporating a regular workout routine alleviated him of the pain on a steady basis. I was so glad to hear it, but I also know it’s not always that easy. My point in sharing the anecdote is to argue for giving the healing powers of movement more credit sooner, whether you suffer from addiction or not. Forgetting that our bodies were meant to move every day is intertwined in experiencing pain in them and the consequences of how the pain is dealt with. 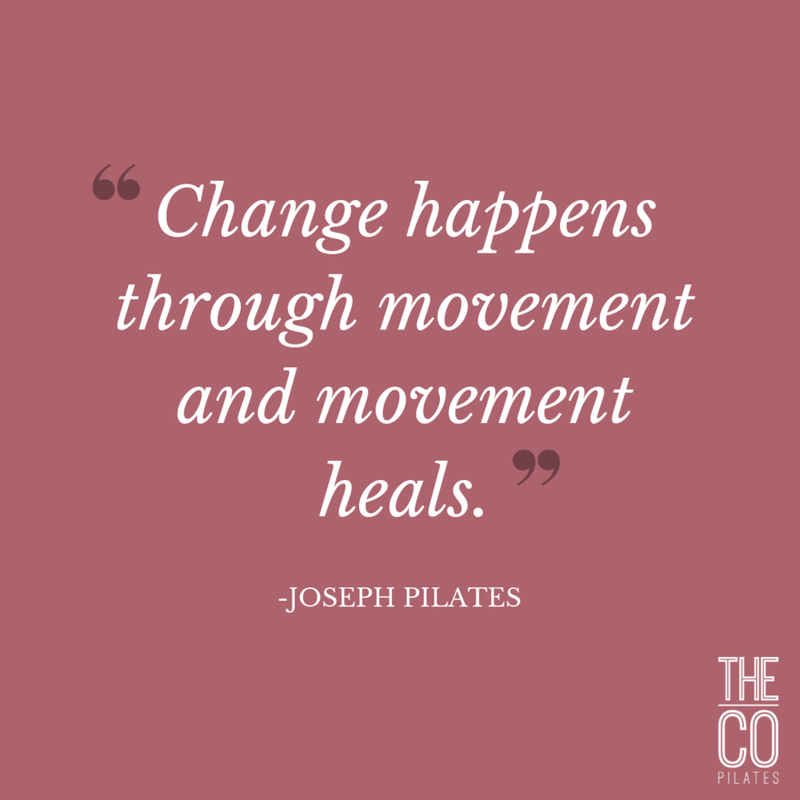 A famous Joseph Pilates quote is “change happens through movement and movement heals.” Teaching for thirteen years I have seen this statement come true in so many different ways. Our desire to make that truth accessible to more people led us to our collaboration with Greenhope Services for Women. Since April of 2018 we’ve been teaching volunteer classes twice a month to support the women there in healing by being in their bodies, getting to know their bodies more, and giving them tools to help their bodies feel good. Just last week one participant commented after class, “Oh man, I’m in such a better mood now.” That’s exactly what we are going for! We all experience pain differently and have learned different coping mechanisms. I’m not saying that the simple and permanent cure to addiction is to put down the substance and start exercising. What I am saying is the body is a cornerstone of healing, has power we can tap into, and moving our body is an integral part of sustaining long lasting change. Giving yourself, or supporting someone in finding, an opportunity to connect to your physical body can facilitate creating pathways for new behaviors that connect the body and the mind in a more holistic way. If you are looking for accessible ways to meditate, exercise, or connect with your body in any way that speaks to you please reach out to us and we will help connect you with a program that answers your needs.